February is National Children’s Dental Health Month.The month-long national health observance is a great chance for dental professionals to raise awareness and educate kids on the importance of good oral health. Being a dentist (and dental geek in general) I’m always happy to visit classrooms and talk teeth. 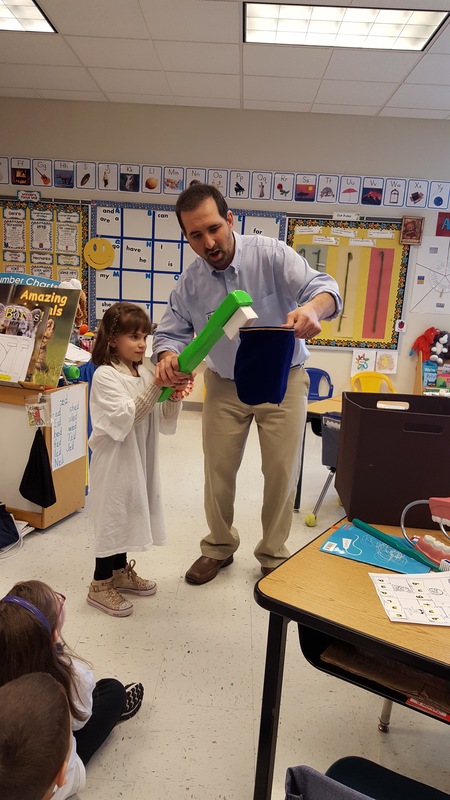 I had a great time at my daughter’s class talking about brushing, flossing and sugar bugs! For many people going to the dentist for regular check-ups and getting a clean bill of dental health is something they take for granted. When a person has good oral health and is not susceptible to cavity-causing bacteria chances are they will . This can continue from adolescence to their middle-age years. Unfortunately for some people, their oral environment changes once they reach their mid 60s. When I have patients that start to get up there in years and then just happen to have a cavity or two on their check up x-rays, it can be very frustrating. Especially if they haven’t had a cavity in several years! I try to keep an eye on my patients who turn 60. I tell them that they might have to take extra measures to prevent tooth decay because inevitable changes will start to occur in their mouth’s. This does not mean that they are guaranteed to get a cavity but it does mean they are at higher risk. Why does this happen? The number one cause of increased tooth decay in senior citizens is dry mouth. This is because dry mouth results in increased acidity. And cavity-causing bacteria love acid! So what causes dry mouth in seniors? Medications. Even though saliva naturally decreases as we age, there are over 500 different types of medications that can lead to a decrease or complete shutdown in saliva. •	Carry a bottle of water with you everywhere you go. This is not a substitute for natural saliva but can help keep your mouth moist which will buffer the acidity. •	Use over-the-counter products like Biotene or Oasis rinse, sprays and losenges. These will not stimulate saliva production but can be a good substitute for it. •	Chew sugarless gum. This actually can induce saliva production and natural saliva is the best acidity buffer there is. •	Ask your dentist about fluoride treatments. This will not stimulate saliva or treat dry mouth but it will make your teeth less susceptible to decay. •	Brush with a fluoride toothpaste and floss every day. Also, if you have anything sweet or acidic rinse with water or brush her teeth as soon as possible. Do you want whiter teeth? Evidently the answer is “yes” based on the fact that Americans spend around $1.7 billion a year on whitening products and services. 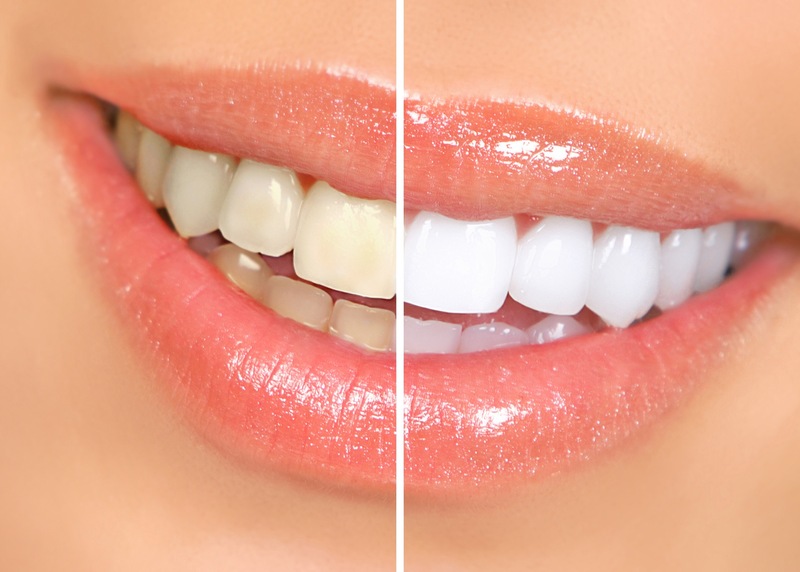 Teeth whitening is a purely cosmetic procedure and since there is no real practical reason for whitening (other than to enhance our beauty) most dental insurance companies will pay zilch for the procedure. Sure, you can avoid the hit to the pocketbook and buy the “whitening” tooth pastes which will only help remove superficial staining (truth be told, I use them myself) but you’ll never be able to get that “Hollywood” white smile with that stuff. It doesn’t penetrate deep enough into your enamel to clean out the real culprit: intrinsic (internal) stain. Almost everything has a certain degree of porosity and enamel is no different. 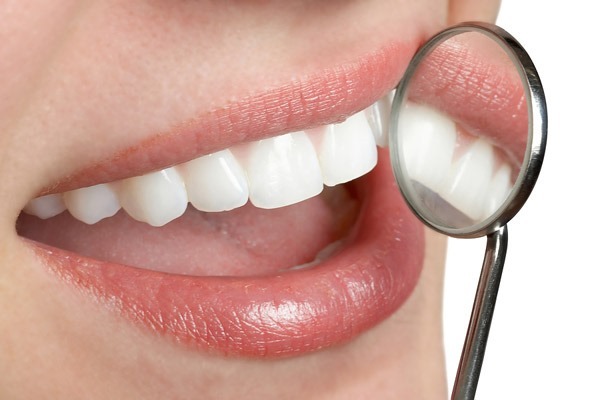 On a microscopic level, your tooth enamel has millions of pores. Overtime, remnants of wine, coffee, tea,certain foods, smoking, etc. can accumulate in these pores and make it impossible to get your teeth sparkling with mere brushing. Even the your dental hygienist’s tooth scrubber thingy can’t touch it. At this point, we need to treat the problem chemically with hydrogen peroxide. There are over-night products that use carbamide peroxide as the main ingredient. This eventually breaks down into hydrogen peroxide and penetrates into the enamel to oxidize and remove the stain. This is a safe and effective way to brighten tooth structure. Fortunately, there are relatively inexpensive methods to deliver hydrogen peroxide into the pores. Over the Counter Whitening Strips are a one size fits all mesh strip that is placed over the teeth for about 30 minutes. The cost for a 10 day kit is between $45-$65. These can be very effective for patients with mild stain, straight teeth, and good compliance. However, if you want more dramatic and long lasting results your dentist can make you take-home custom-made whitening trays. They fit only your teeth and can keep the whitening gel in contact with the enamel longer yielding a more predictable outcome. This can cost anywhere from $400 to $600. These trays are usually able to be worm while sleeping so patient compliance is usually not an issue. Finally, your dentist can apply an extra concentrated solution of hydrogen peroxide directly to the teeth. This can be done in two or three 45 minute appointments and the cost can range from $500 to $800. This can produce immediate and striking results but usually require a set of take-home trays for maintenance. The months leading up to a presidential election can be rife with political tension and squabbling; not just amongst the candidates but the American people as well. This year is no exception. The lines are drawn very clearly and there is very little overlap regarding each candidate’s stance on the issues. There is, however, one topic that concerns both democrats and republicans that I must address: The debate over whether or not flossing is beneficial to our health. Last week, a few of my patients were quick to point out that the federal government published the results of a study regarding the efficacy of flossing. With all due respect to the folks who conducted the study, I’m going to advise my patients to ignore it’s general message, which is: you don’t have to floss. Complete nonsense. 1. I question the study’s legitimacy: For a study of this nature to be credible with legitimate results it would have to be conducted for a very long period of time. We’re talking several years. The subjects would have to be broken up into two groups; one that flosses and obviously one that abstains from flossing. Then, after say… 5-10 years (or more), the long term deleterious effects of not getting a piece of string in between your choppers will start to manifest. Because, as I say all the time, gum disease is very quiet and very slow. 2. It’s just common sense: No research has been done to prove that showering every day is beneficial to our health, and yet we do THAT everyday…right? 3. The federal government keeps changing dietary guidelines every five years: I forget… Are eggs good or bad for our health this week? Just sayin’. 4. Nothing else works to clean the contact point between your teeth. Toothbrush bristles are too thick. Water pics come close but no cigar. Listerine (as much as I love it) had to retract statements a few years ago saying that it can replace floss. Only a piece of string can get in there and clean out the food debris and bacteria-filled plaque. 5. Flossing kills anaerobic bacteria: Anaerobic bacteria are able to thrive in areas void of oxygen. They are responsible for causing gum disease, cavities, bad breath, and general oral inflammation. They live in between our teeth. When a piece of string is introduced between our teeth, oxygen is introduced between our teeth. Anaerobic bacteria cannot live in oxygen, ergo flossing kills anaerobic bacteria. 6. The oral-systemic connection: I won’t start beating my drum again, but plaque and tartar buildup causes inflammation not just in our mouths, but everywhere. The American Oral-Systemic Health association’s website has numerous examples and literature regarding the connection between oral inflammation (caused by anaerobic bacteria) and its role in heart disease, stroke, diabetes, Alzheimer’s, low birth weight,and more. 7. Flossing makes our gums more resilient by stimulating the tissue between our teeth: When people say, “I don’t floss because it makes my gums bleed” I have to slap my forehead. If a non-flosser started to floss and rinse with Listerine on a daily basis it would take one week for the gums to stop bleeding and start becoming more resilient. It’s the same as saying, “I don’t work out because it makes my muscles sore”. Why does my kid keep getting cavities? February is National Children’s Dental Health Month and I thought it would be prudent to address this old topic again. In the last decade, there has been an increase of more than 600,000 pre-school and elementary school kids that have been diagnosed with tooth decay. Currently about 4 million kids have cavities. This may be due to the fact that sweet snacks and sports drinks are much more prevalent in the modern diet than ever before. Also, bottled water is consumed more than fluoride-containing city water. Oral hygiene habits definitely play a role. However, parents need to know that if their kids are doing the basics (brushing their teeth twice a day, flossing and rinsing) and they’re still getting cavities then there’s something else at play. When I find a cavity on a toddler or elementary school child I make sure the parents don’t walk away thinking it’s their fault or they’re bad parents. Some people feel awful and some people claim that “soft teeth run in our family”. We educate them on how cavities start so they understand why it’s happening and how they can help prevent them from forming. If cavities are a regular occurrence when your child visits the dentist it means he/she is susceptible to a very specific family of germs that cause tooth decay. These bacteria are usually passed from parent to infant by inadvertent saliva exchange (usually by using the same utensils) and can be passed easily to siblings, classmates etc. The “sugar bugs” metabolize the sugar molecule from soda, sports drinks, candy etc. and convert it into acid which dissolves the tooth structure and forms a hole (cavity). These holes can enlarge and leak into the nerve center of the tooth and can necessitate pulling the tooth or placing a cap over the tooth. Good oral hygiene involves regular mechanical removal of plaque by brushing, flossing, and rinsing with fluoride. This process should take at least 2-3 minutes twice a day and will definitely help decrease your child’s chances of getting a cavity. It’s the other 1,432 minutes in the day that can do the damage. If Gatorade and Nerds are a staple in their diet AND they are susceptible to mutans streptococcus (sugar bugs) then a cavity will most likely form. Even if they eat nothing but carrots cucumbers and white milk all day they will be at increased risk if the environment in their mouths are accommodating to the cavity-causing, acid-loving bacteria. However, cavities are preventable and treatable. Catching them early is key and there are treatments we prescribe at Steel Valley Smiles that not only kill the bacteria (by making it less inhabitable in the mouth) but also strengthen the teeth. Next time I’ll talk about tricks to help your kids brush better and ways to help make their teeth less susceptible to cavities. I also want to mention, for Dental Health Awareness Month I’ll be a the Carnegie Library Thursday, February 25th at 1pm. I’ll be performing a free magic show for the kids while teaching them about oral hygiene and what to expect when they visit the dentist. Hope to see you there! Joseph D’Alesio DDS, Steel Valley Smiles. This is a great time to be a dentist. Never in our profession have we had such a wide array of cosmetic options available to our patients. Also, it is a proven fact that an unhealthy mouth can affect our heart health and quality of life. In other words, what happens in the mouth does not stay in the mouth. Once the teeth and gums are thoroughly cleaned and brought back to a healthy state (by our awesome hygienists), then we can focus on making the teeth beautiful. 1. Veneers: Either chairside or laboratory fabricated facings that are bonded to the teeth. 2. Invisalign: Custom-made clear trays that go undetected but gradually straighten teeth. 3. White Fillings: Strengthens teeth and looks great. We can easily fix a chipped front tooth in minutes. 4. Gap/Space Closures: Unwanted spaces or gaps in teeth can usually be eliminated in one visit without the need for braces. 5. Whitening: Over the counter “Go Strips” or custom made trays. 7. Natural Tooth Bridge: A very affordable alternative for replacing missing front teeth. 8. Partial or Full Dentures: Can be placed the same day as tooth removal. At Steel Valley Smiles we pride ourselves in providing dentistry that not only functions well and feels natural but also looks great. Thanks for reading, Joseph D’Alesio DDS, steelvalleysmiles.com, (412) 462-3095. Now that October is almost in the books, Dr. D’Alesio and his team at Steel Valley Smiles wanted to send out a friendly reminder to schedule your 6 month cleaning and check-up before the end of the year. We want you to take full advantage of any flex spending or insurance benefits you and your family have. We know everyone’s schedule can get a little crazy this time of year so call today to set up an appointment! Happy Halloween! The easy answer: it all depends. The answer is different for everybody. Although not typical, I have some patients that have silver fillings that were placed a little after WWII. I’d say they got their money’s worth. However, according to studies the average lifespan of a filling is approximately 10 years. Even though I’ll typically guarantee my restorative treatment (whether it be fillings, crowns, bridges, etc.) for several years, I’m constantly striving to ensure my “work” goes well past the 10 year mark. The reality is that after about five years, all bets are off. This is due to variables that are beyond my control. Here are just a few of those variables that will influence the lifespan of a typical dental restoration (filling). 1. Size of filling: I always try to be as conservative as possible when I’m removing tooth decay but all decay must be removed prior to placing the filling. Typically, the larger the filling the less support from the natural tooth structure. This translates into a higher probability of enamel fracture over time and a need for stronger restorative material such as a porcelain crown. 2. Type of filling material: Historically chair-side composite restorations (bonded tooth-colored fillings) have had a considerably lower long-term success rate compared to metal fillings (especially cast gold alloy). This is due to the fact that composite is, for intents and purposes, plastic. Fortunately, modern cosmetic dental filling material has evolved to a point where, if properly placed, can be comparable to amalgam fillings. 3. Skill of the dentist: Since I’m perfect and never make mistakes we can skip this one. 4. Patient cooperation during procedure: All of my patients are wonderful and always cooperate as best they can. While placing a filling we try to isolate the tooth and maintain a dry working environment to help improve the outcome. However, outcomes can vary due to age/behavior of the patient, lack of profound anesthesia, wiggly tongue syndrome etc. 5. The patient’s biting forces (occlusion): Many of my adult patients (along with myself) have a very severe (and involuntary) grinding issue. Usually while sleeping, adults can generate hundreds of pounds per square inch with their jaw muscles. This results in severely worn/cracked teeth and a lower than average life span of dental work. 6. The patient’s diet: If “jaw breakers” candy and Bazooka Joe is a staple in your diet be prepared to have your fillings replaced. But seriously, if your diet consists of very “coarse” foods and/or foods that are high in sugar (bacteria love to turn sugar into acid) then you’re obviously going to have issues. 7. The patient’s oral hygiene: Unfortunately, even someone with immaculate oral hygiene can get cavities. It’s all about bacteria. The human mouth can be a brutal environment for teeth and dental restorations. If you have a high susceptibility to the bacteria that causes tooth decay then the cards are stacked against you. This means that if you do not brush 2-3 times daily, floss daily, rinse with Listerine and fluoride before you go to bed, see your dentist regularly, etc. then it’s very likely you’re going to get recurrent decay under your fillings and crowns at some point. Your dentist and hygienist will do what they can to help you avoid this but since there are 365 days in a year and they only see you about two of those days, there’s only so much they can do. This was by no means an exhaustive list. Actually I could probably think of 100 + variables that would influence the longevity of your fillings. Therefore, it’s impossible to answer the proposed question. 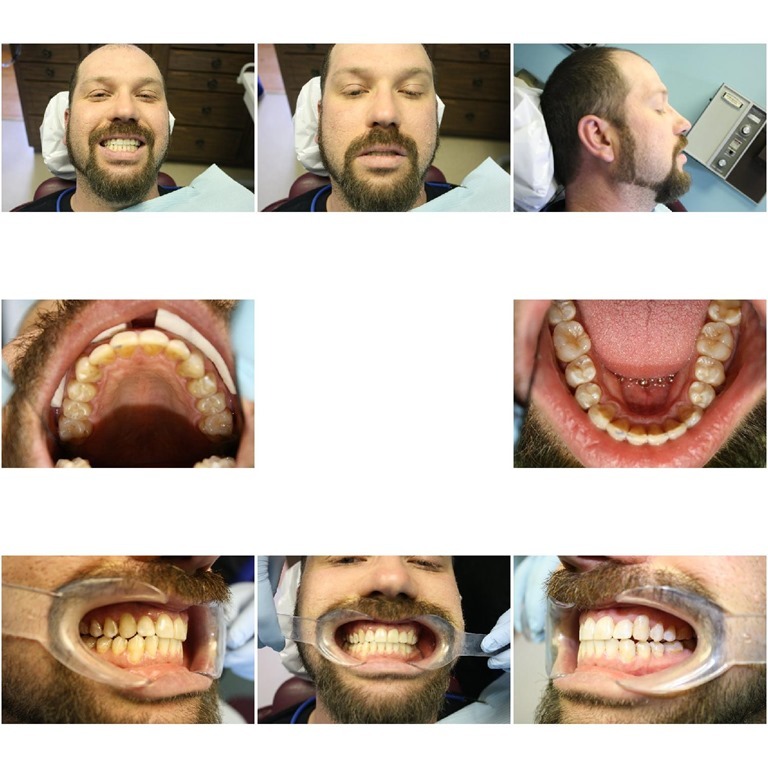 Different patients and situations call for different types of restorations. That said, I’m always trying my best to place a filling/crown/bridge that a dentist 50 years from now will be impressed with. 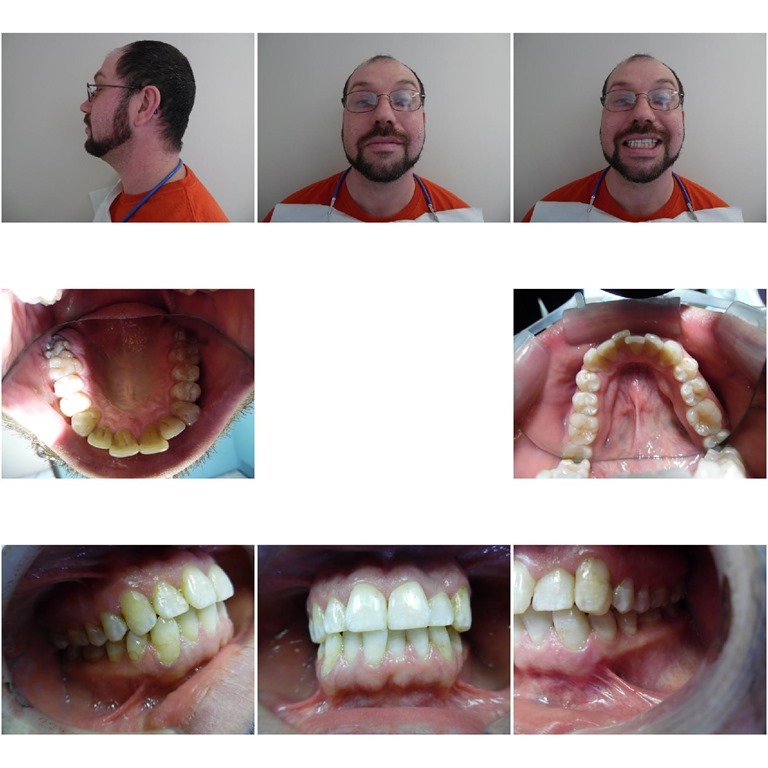 I like to think I stay on the cutting edge of dentistry and continue to educate myself in order to place a quality restoration to the best of my ability. Thanks for reading, Joseph D’Alesio DDS Steel Valley Smiles. Unfortunately, as we age, inevitable changes take place in our mouths. Our teeth can be affected by grinding and clenching and become worn down. Our gum line can recede, not only due to periodontal disease but also from years of brushing, chewing or both. Another side-effect of time is something called mesial drift. This is the technical term for tooth shifting. It’s also the reason our teeth may have been straight when we were kids but now look slightly (or severely) crowded. 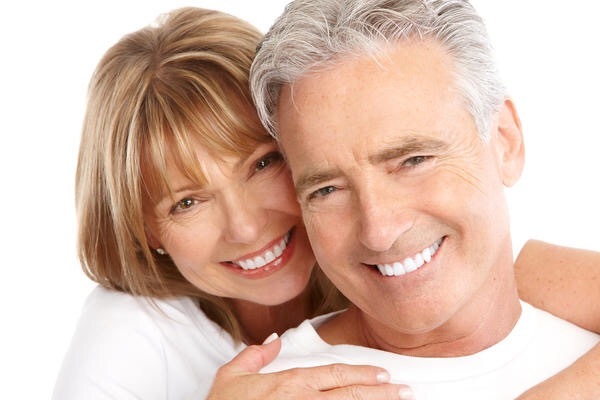 With advances in orthodontics adult braces have become more and more acceptable. However, busy adults still have many hang-ups regarding traditional metal wires, brackets and rubber bands to straighten things out. Enter Invisalign. This amazing product has been around for about 15 years now and has grown in popularity for several reasons. Two of the biggest reasons Invisalign is so successful is its effectiveness and the fact that it is virtually invisible. Without going into too much detail on how Invisalign works (topic for future blog), here are just 6 reasons you might want to ask your dentist if Invisalign is a viable treatment option. 1.Improved Esthetics. Obviously, cosmetics plays a major role in a patient’s decision to straighten their teeth. Straight, symmetrical teeth (along with one of our whitening procedures) will help your confidence go through the roof. 2.Improved oral hygiene. With teeth aligned in their proper position, hygiene techniques such as brushing, flossing and rinsing will be more effective. Less crowding results in fewer places for bacteria to hide. 3.Healthier gums. Improved hygiene results in less gum inflammation. Since gingivitis has been shown to contribute to heart disease it is safe to say that straight teeth can indirectly improve overall health. 4.Self-cleansing teeth. Better positioning of teeth in the jawbone promotes better self-maintenance by making it harder for food to become impacted. Food particles will wash away from teeth instead of getting stuck in between them. 5.Improved chewing. After straightening the upper and lower teeth, they will meet together more ideally and result in improved chewing ability. This will in turn help with proper digestion. 6.Improved speech. When teeth are not in their proper position, the tongue and lips may not function the way they’re supposed to during speech. Excessive spacing can result in lisping or a slight whistle during speech. Invisalign can reduce this effect and result in improved pronunciation.